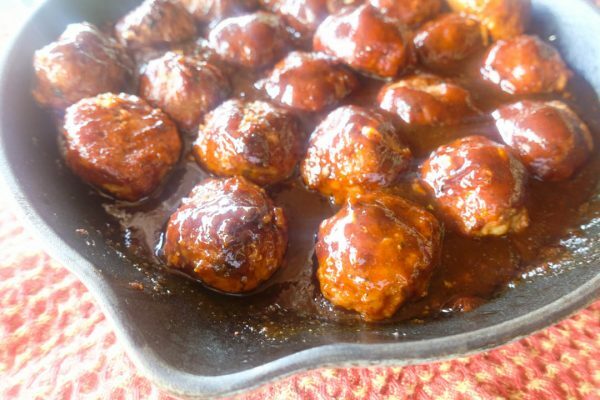 Remove meatballs from cookie sheet and place in a pan with at least a 1″ lip. Add sauce and gently roll meatballs to coat. Return to smoker for 10 minutes to allow BBQ sauce to “set.” Enjoy!